Enjoy movies with your preschooler at the Roslindale Branch of the Boston Public Library. 10:30-11:30 a.m., 4246 Washington St., Roslindale. Guided tours take place daily at Harpoon Brewery, giving visitors an up close and personal view of the brewing process. As part of the tour, visitors 21 and over will enjoy a range of freshly-brewed Harpoon and UFO beers. Tours last approximately one hour. Tickets are $5 and only available the day of the tour and can only be purchased in person. Noon to 5 p.m., Harpoon Brewery, 306 Northern Ave., Boston. Mix hidden history, craft beer and good times during Boston Crawling’s guided History Tour Pub Crawl. Visit historic pubs in the Faneuil Hall area of the Freedom trail while guides share stories of Revolutionary Boston. Tours offered daily at 3 p.m. and 7 p.m. Tickets start at $34.99 and must be purchased in advance. Me﻿et at the Samuel Adams statues in front of Faneuil Hall﻿﻿. Bring the kiddos to the Boston Public Market to escape the cold and enjoy winter crafts in the Kids’ Nook. 10 a.m. to 6 p.m. (while supplies last), Boston Public Market, 100 Hanover St., Boston. Boston’s best baby expo returns. Expectant or new parents, you don’t want to miss this opportunity to interact with more than 80 companies and local resources for new parents. Plus, there will be lot of great deals and promotions on hand. Tickets start at $15. 3-9 p.m., Westin Waterfront Hotel, 425 Summer St., Boston. The Boston Underground Film Festival returns for its 21st year once again bringing the finest in vanguard filmmaking from all over the world to New England. The festival runs March 20-24 with multiple movie viewing daily. Check website for specific schedule. 5 p.m., Brattle Theatre, 40 Brattle St., Cambridge. 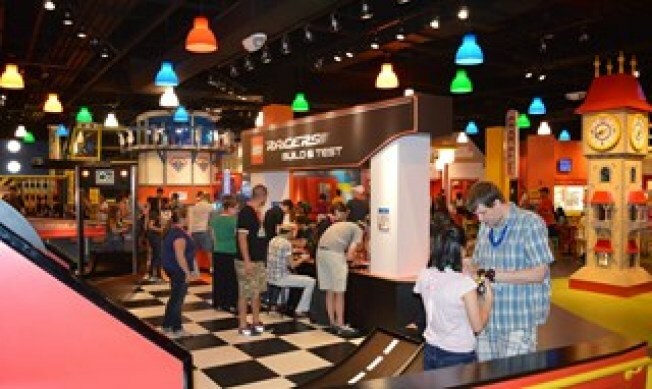 Once a month LEGOLAND Discovery Center opens its doors for a “no kids allowed” adult night. Tonight’s the night! Enjoy a themed-night, challenge the master model builder and compete in competitions for prizes. Tickets are $22.95 per person. 7-9 p.m., LEGOLAND Discovery Center, 598 Assembly Row, Somerville. Did you know the Institute of Contemporary Art is free for all visitors every Thursday? It sure is. 5- 9 p.m., Institute of Contemporary Art, 25 Harbor Shore Drive, Boston. The Boston Underground Film Festival returns for its 21st year once again bringing the finest in vanguard filmmaking from all over the world to New England. The festival runs March 20-24 with multiple movie viewing daily. Check website for specific schedule. 5:30 p.m., Brattle Theatre, 40 Brattle St., Cambridge. Dance the night away with this free, special winter dance series inside the historic Rotunda in Quincy Market. Enjoy lessons and music to build your skills to show them off on the dance floor. Tonight it’s salsa. 6:15 p.m., Faneuil Hall Marketplace, 4 S Market St., Boston. Head over to Harpoon Brewery for Trivia Night tonight. This event is free and open to the public. 7-9 p.m., Harpoon Brewery, 306 Northern Ave., Boston. Combining music, technology and comedy, Blue Man Group creates a form of entertainment that can’t be defined, but appeals to people of all ages. Described as “innovative,” “energetic” and “wildly entertaining,” the best way to truly understand what Blue Man Group is, is to see the show yourself. Tickets start at $66. 7:30 p.m., Charles Playhouse, 74 Warrenton St., Boston. The Indigo Girls take the stage tonight at Medford’s Chevalier Theatre. Tickets start at $39. 8 p.m., 30 Forest St., Medford. The Boston Underground Film Festival returns for its 21st year once again bringing the finest in vanguard filmmaking from all over the world to New England. The festival runs March 20-24 with multiple movie viewing daily. Check website for specific schedule. 5:15 p.m., Brattle Theatre, 40 Brattle St., Cambridge. The Magickal Marketplace & Psychic Faire returns for another year of New England's best craftspeople, psychic readers and merchants, along with live music, classes, masquerade ball and more. Tickets are $10-$25. 7-10 p.m., Marriott Courtyard, 2200 Southwood Drive, Nashua, NH. Join the Luna Theatre for a magical weekend of Harry Potter films as part of its Harry Potter Film Festival happening all month long. Tonight it’s “Harry Potter and the Half Blood Prince.” 7:35 p.m., The Luna Theatre, Mill No. 5, 250 Jackson St., Lowell. Celebrate the Persian New Year, learn about Nowruz traditions, explore Persian works of art, enjoy dance performances with Iranian modern dancer Shahrokh Moshkin Ghalam and more at the Museum of Fine Arts Nowruz 2019 Persian New Year Festival. Free with the price of admission. 10 a.m. to 5 p.m., Museum of Fine Arts, 465 Huntington Ave., Boston. The Boston Underground Film Festival returns for its 21st year once again bringing the finest in vanguard filmmaking from all over the world to New England. The festival runs March 20-24 with multiple movie viewing daily. Check website for specific schedule. 10 a.m., Brattle Theatre, 40 Brattle St., Cambridge. The Magickal Marketplace & Psychic Faire returns for another year of New England's best craftspeople, psychic readers and merchants, along with live music, classes, masquerade ball and more. Tickets are $10-$25. 10 a.m. to 5 p.m. and 5:30 p.m. to midnight. Marriott Courtyard, 2200 Southwood Drive, Nashua, NH. Join the Luna Theatre for a magical weekend of Harry Potter films as part of its Harry Potter Film Festival happening all month long. Tonight it’s “Harry Potter and the Half Blood Prince” at 11:05 a.m. and 2:15 p.m., as well as “Harry Potter and the Deathly Hallows Part One” at 5:25 p.m. and 8:35 p.m., The Luna Theatre, Mill No. 5, 250 Jackson St., Lowell. PEG + CAT take the stage at Medford’s Chevalier Theatre for their live show today. Tickets start at $27. 1 p.m., Chevalier Theatre, 30 Forest St., Medford. Combining music, technology and comedy, Blue Man Group creates a form of entertainment that can’t be defined, but appeals to people of all ages. Described as “innovative,” “energetic” and “wildly entertaining,” the best way to truly understand what Blue Man Group is, is to see the show yourself. Tickets start at $66. Performances today at 2 p.m., 5 p.m. and 8 p.m., Charles Playhouse, 74 Warrenton St., Boston. The Magickal Marketplace & Psychic Faire returns for another year of New England's best craftspeople, psychic readers and merchants, along with live music, classes, masquerade ball and more. Tickets are $10-$25. 10 a.m. to 5 p.m., Marriott Courtyard, 2200 Southwood Drive, Nashua, NH. Join the Luna Theatre for a magical weekend of Harry Potter films as part of its Harry Potter Film Festival happening all month long. Today it’s “Harry Potter and the Deathly Hallows Part One” 11:05 a.m., as well as “Harry Potter and the Deathly Hallows Part Two” at 2:05 p.m., 5:05 p.m. and 8:05 p.m. The Luna Theatre, Mill No. 5, 250 Jackson St., Lowell. The Boston Underground Film Festival returns for its 21st year once again bringing the finest in vanguard filmmaking from all over the world to New England. The festival runs March 20-24 with multiple movie viewing daily. Check website for specific schedule. Noon, Brattle Theatre, 40 Brattle St., Cambridge. Combining music, technology and comedy, Blue Man Group creates a form of entertainment that can’t be defined, but appeals to people of all ages. Described as “innovative,” “energetic” and “wildly entertaining,” the best way to truly understand what Blue Man Group is, is to see the show yourself. Tickets start at $66. Performances today at 1 p.m. and 4 p.m., Charles Playhouse, 74 Warrenton St., Boston.